The Piper PA‑22 Colt was the end of an era as far as Piper constructing aircraft from steel tube and fabric. To describe the Colt, one has to remember the Colt’s Skagit Aero Colt heritage, or short wing genealogy. Many enthusiasts believe the Tri‑Pacer to be the biggest contributor to the Colt’s basic layout with the tricycle gear, but the Colt owes most of its lineage to the Short Wing that started it all, the PA‑15/17 Vagabond. The structure of the Colt fuselage closely mirrors the Vagabond as neither airframe contains the Clipper, Pacer and Tri‑Pacer rear door/seat and overhead structures. 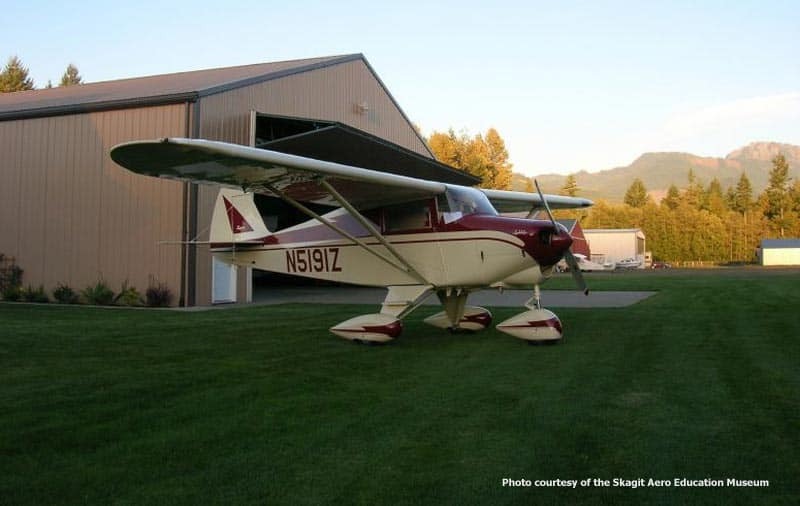 Piper understood the market for that period, Cessna had the 150 and Piper had the PA‑18 Super Cub (but that was a tail dragger), and they needed a machine that was economical to manufacture and also to operate. Piper needed a stop gap airplane to fill the trainer role which they would not have until the PA‑28 Cherokee 140 was introduced. What they came up with was the wonderful little PA‑22-108 Colt. Piper must have done their homework as well over 2,000 Colts were manufactured in the three year production run at Lock Haven, PA. Many were destined for the role for which they were designed and manufactured…flight school training. Today, Colts are often ‘around the patch’ type airplanes giving owners an economical avenue to get into the air. The Colt was and still is a lot of bang for the buck. A special Thank You to Skagit Aero Education Museum for granting us permission to use portions of their Colt description on our SWPC Website and brochure!